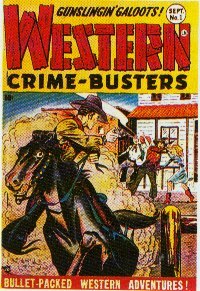 Trojan was ostensibly owned by Adolphe Barreaux and Frank Armer, although Harry Donenfeld's wife Gussie was listed as an owner in the annual statements of ownership that had to be published in each title that had a second class postal permit. Michael Estrow and Stanley M Estrow of Leader News were probably financially behind the company. 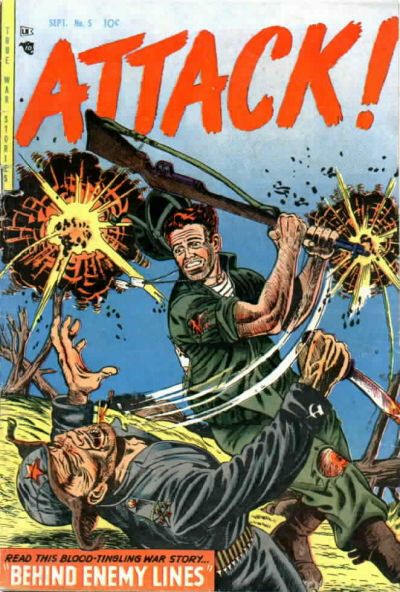 As the pulp magazine market died out at the end of the forties, Trojan tried to switch their material to comic books. 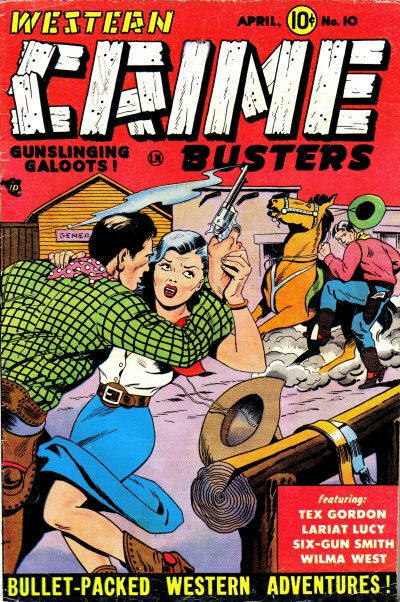 Most of their pulps had carried comic strips anyway, so it wasn't that difficult. Trojan and its sister companies passed around titles willy-nilly and renamed things depending on wind direction, so the following is a bit confusing. 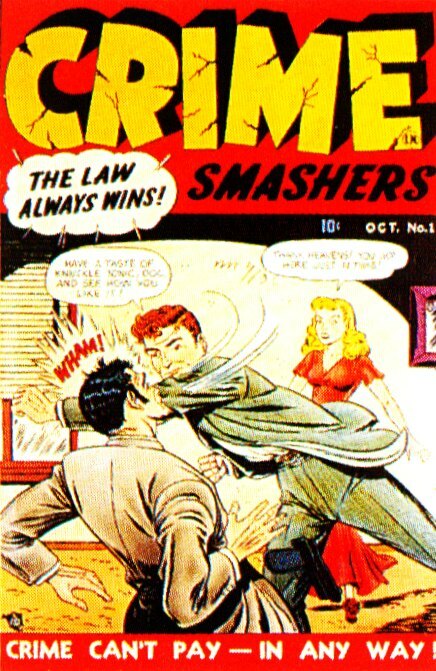 Leader News went bankrupt in July 1956, causing major disruptions in magazine publishing. 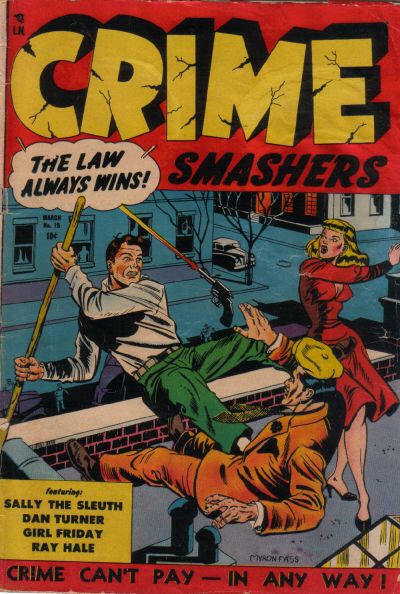 Oct Crime Smashers begins, starring the comic strip heroes who had previously appeared in the Trojan pulps. 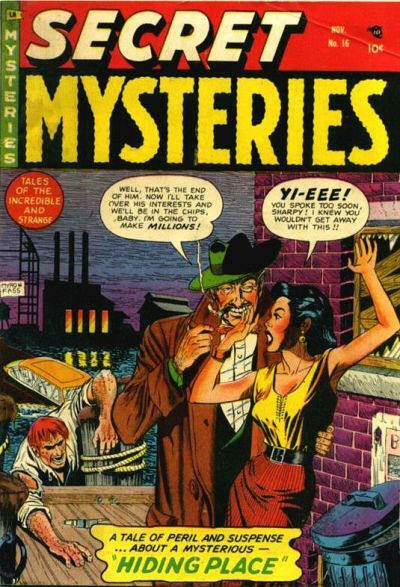 Sally the Sleuth, Ray Hale, Dan Turner and Gail Ford. Overstreet lists this as Ribage, but it's not. 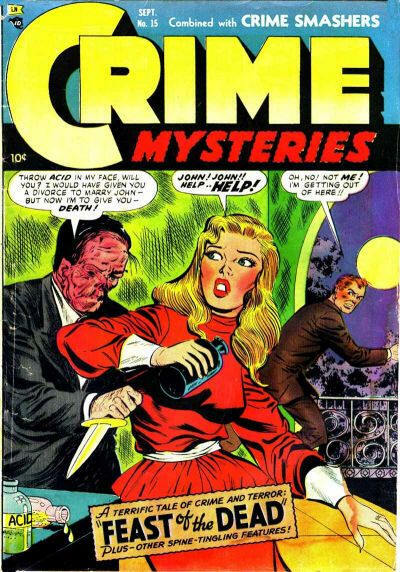 Crime Mysteries #1 published by Ribage, 480 Lexington Ave. Adolphe Barreaux, editor. Attack taken over from Youthful by Trojan with #5. 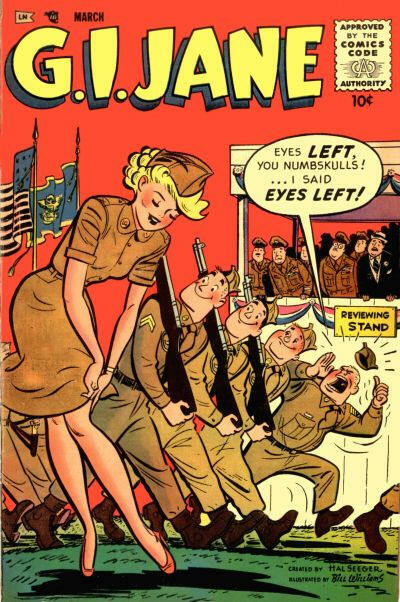 Youthful continues same numbering with Atomic Attack #5. Stanhall begins. Stanhall apparently stands for Stanley Estrow and Hal Seeger. The books are edited by Adolphe Barreaux but copyright by Seegar. Editorial address is 480 Lexington Ave, same as Leader News. 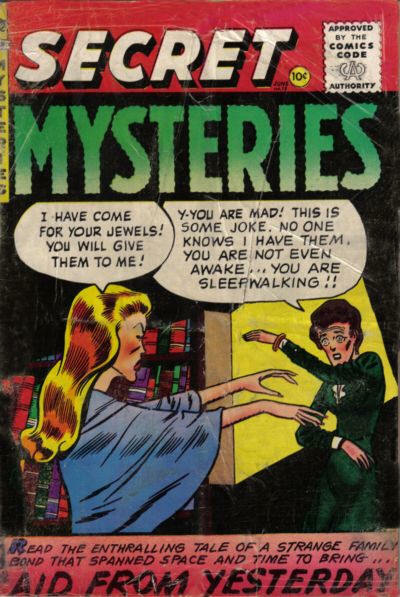 Stanhall's comics are quite different from Trojan's. I suspect most were intended for sale through army PX's. Seegar had quite a career as an animator and writer. He wrote Leave it to Binky and A Date With Judy for National and went on to produce Fearless Fly and Batfink for TV. 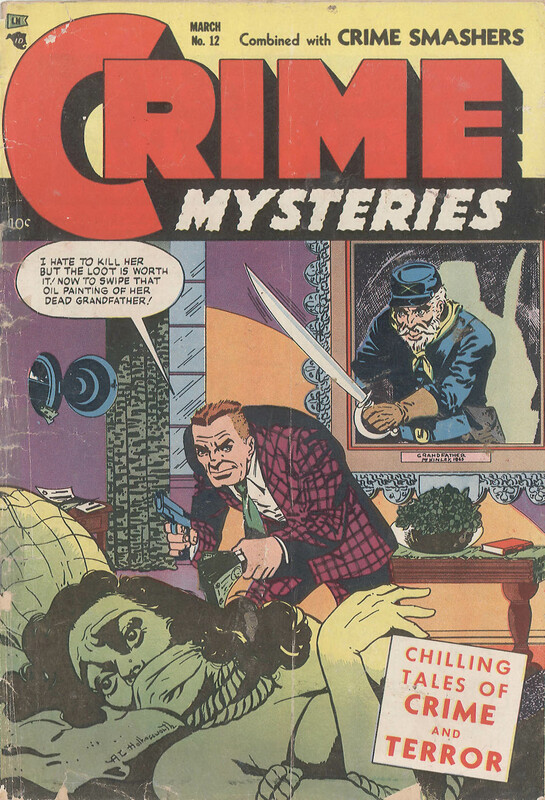 Crime Mysteries 7 printed by Charlton in Derby Ct. Cover now says "Combined with Crime Smashers." 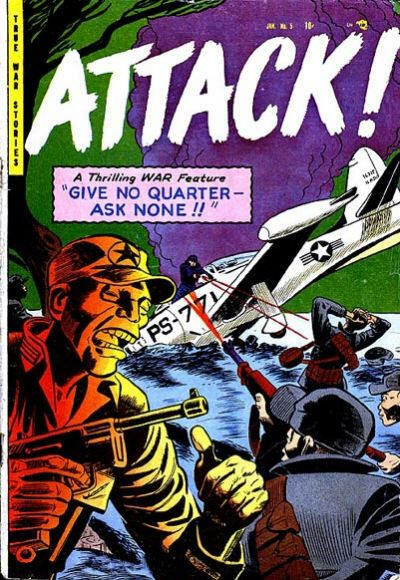 Attack renumbered. issues 5-8 now considered 1-4. Sep issue is number 5 (again). Beware renumbered. Issues 13-16 now considered 1-4. Sep issue is number 5. 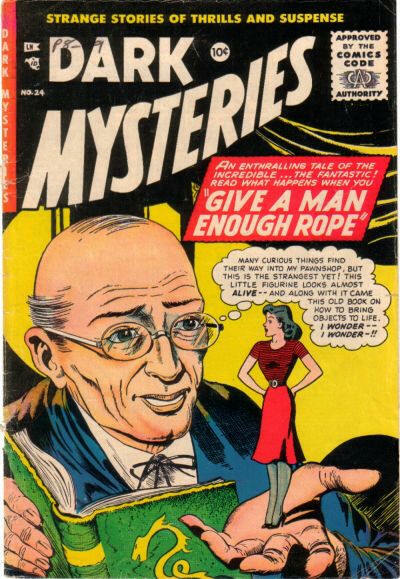 Overstreet lists this as 1951 but that's about two years too early. Jingle Dingle is a puppet character related to Foodini which was published by Continental. Created by Leon Jason, the puppet was built by Maury Bunin and licensed to local tv cartoon hosts. Hal Seegar didn't have anything to do with this. 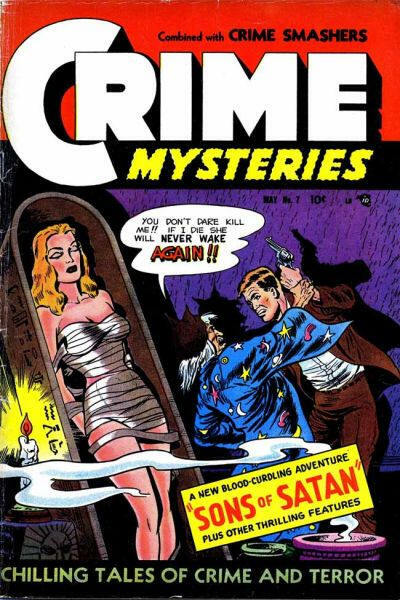 Crime Mysteries 12 combined with Crime Smashers published by Ribage. 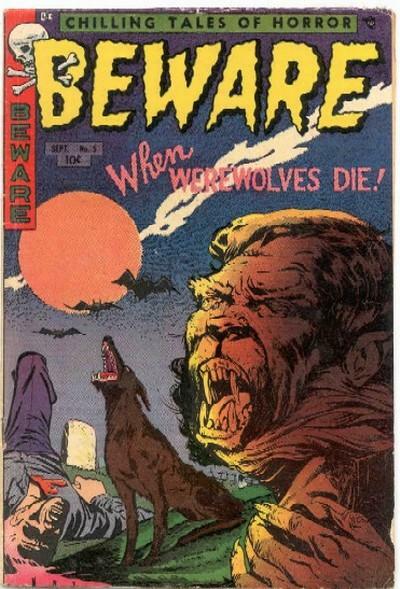 Printed by Charlton. Aug Youthful Romances ends with #9. 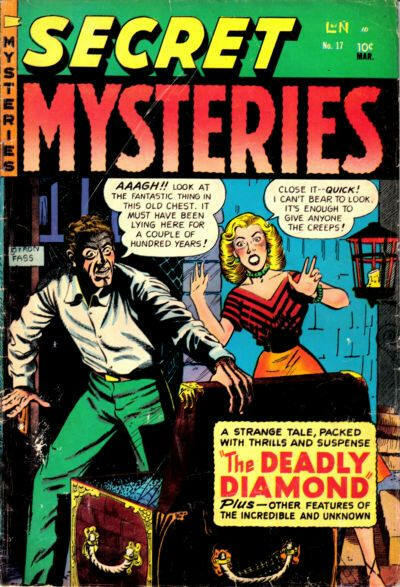 Nov Crime Mysteries becomes Secret Mysteries with #16. 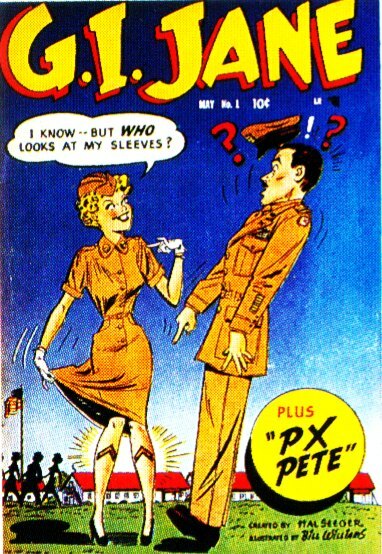 GI Jane 15 now published by Merit. Beware 14 statement of ownership. Trojan owned by Michael Estrow. 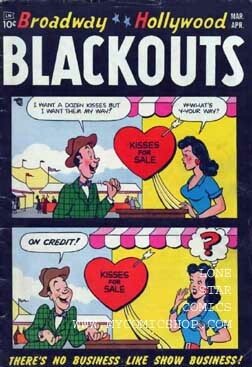 Dark Mysteries and Romantic Hearts (Master Comics) taken over by Trojan with 23 and 11. Adolphe Barreaux edits last two issues.